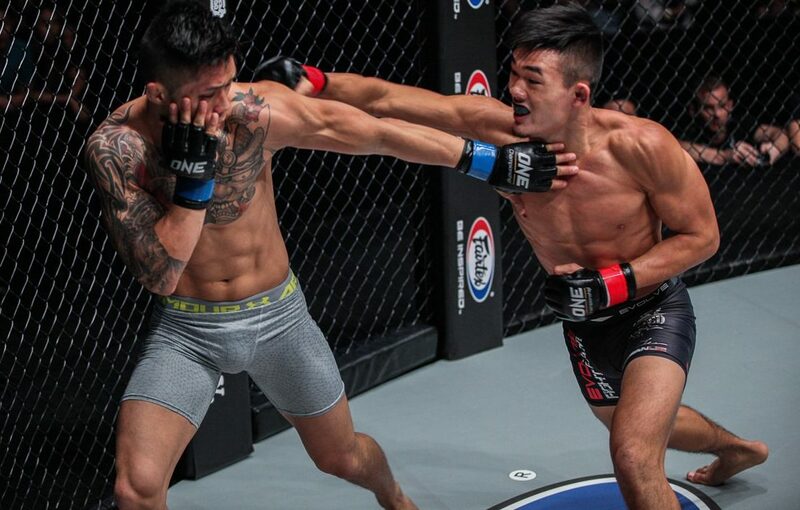 Christian “The Warrior” Lee, 19, of Singapore was an undefeated fighter until he faced Martin “The Situ-Asian” Nguyen, 28. The two battled it out in the featherweight division at “ONE: Heroes of the World” on August 13, 2016 in Macau, China. The featherweight bout between Lee and Nguyen at “ONE: Heroes of the World” ended at 4:30 of Round 1. The Vietnamese-Australian contender submitted his Singaporean opponent via guillotine choke. According to Lee, each contest also allows him to gain even more experience inside the cage. This is something the Singaporean fighter values even more after suffering the first and only blemish of his career in a crushing defeat to Nguyen, who became the ONE Featherweight and Lightweight World Champion in 2017. On March 9, 2018, Lee will face Kazunori Yokota of Japan in the featherweight division at “ONE: Visions of Victory” at the Axiata Arena in Kuala Lumpur, Malaysia. Nguyen defeated Yokota at “ONE: Quest for Power” on January 14, 2017 in Jakarta, Indonesia. After nine matches inside the ONE Championship cage, Lee has developed a reputation as a proven finisher, owning five knockout victories and three submission wins. He hopes to secure his fourth straight win, all while also adding another big name to his ever-expanding résumé.